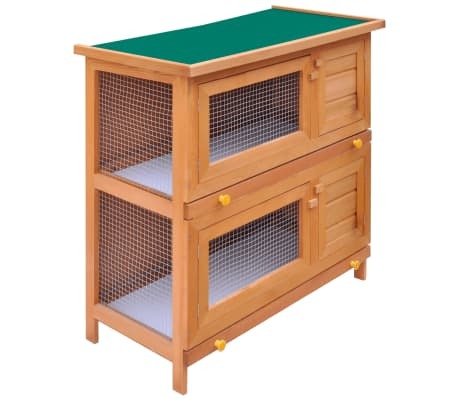 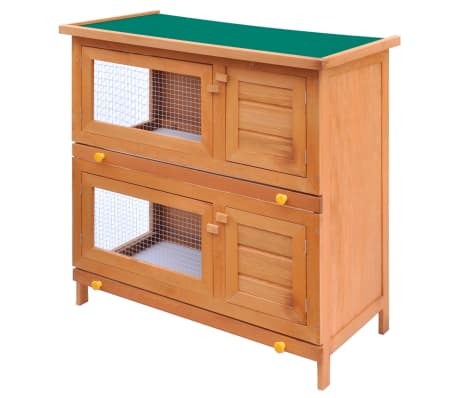 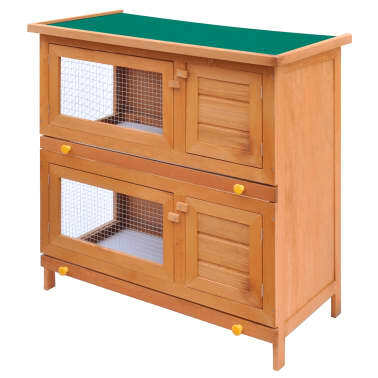 This quality hutch of 2 layers provides a large cozy place for keeping small animals, especially cute rabbits. 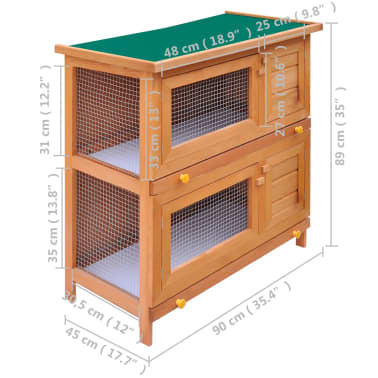 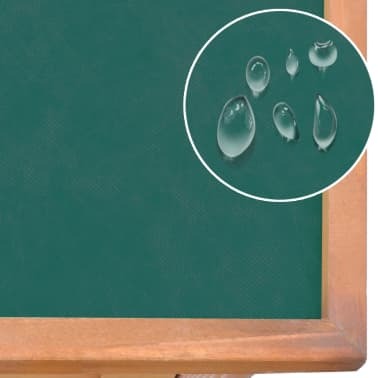 It features multiple uses: playing, exercising, training, or simply keeping your pets safely. 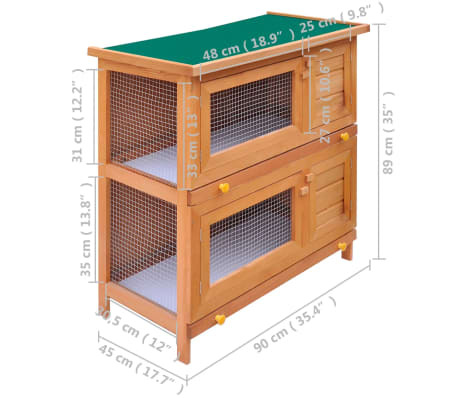 This rabbit hutch provides your pets with plenty of exercise space while the tight iron wire mesh helps prevent mischievous behaviors and unexpected accidents. 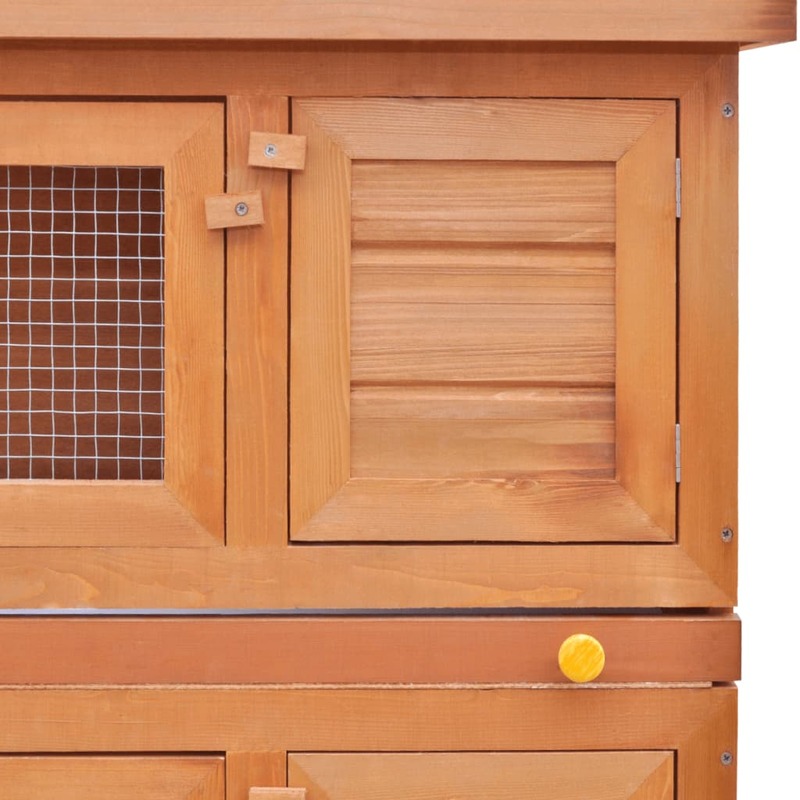 Meanwhile, the construction of iron wire grid ensures your monitoring of the pets and enables your pets to keep an eye on the surroundings and get enough fresh air. The rabbit hutch is built with high-quality wood frame, making it a strong and safe enclosure that lasts for years. 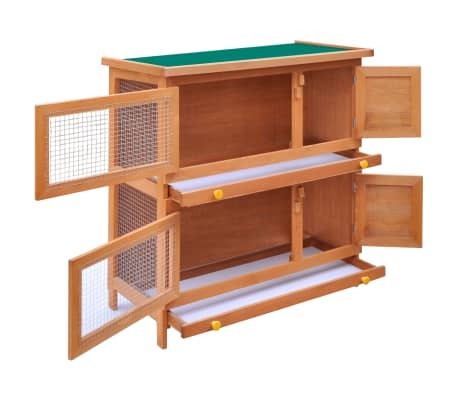 Its green roof keeps rain away while the cozy cubby makes the perfect sleeping area. Two pull-out trays make cleaning easy. 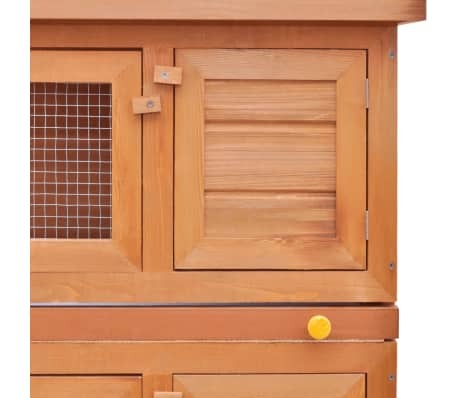 And the doors close easily and lock with slide-bolt latches. 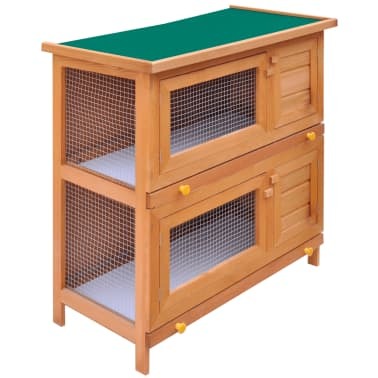 Used it for 2 diffent sets of mini hens with chicks at a time and was perfect! 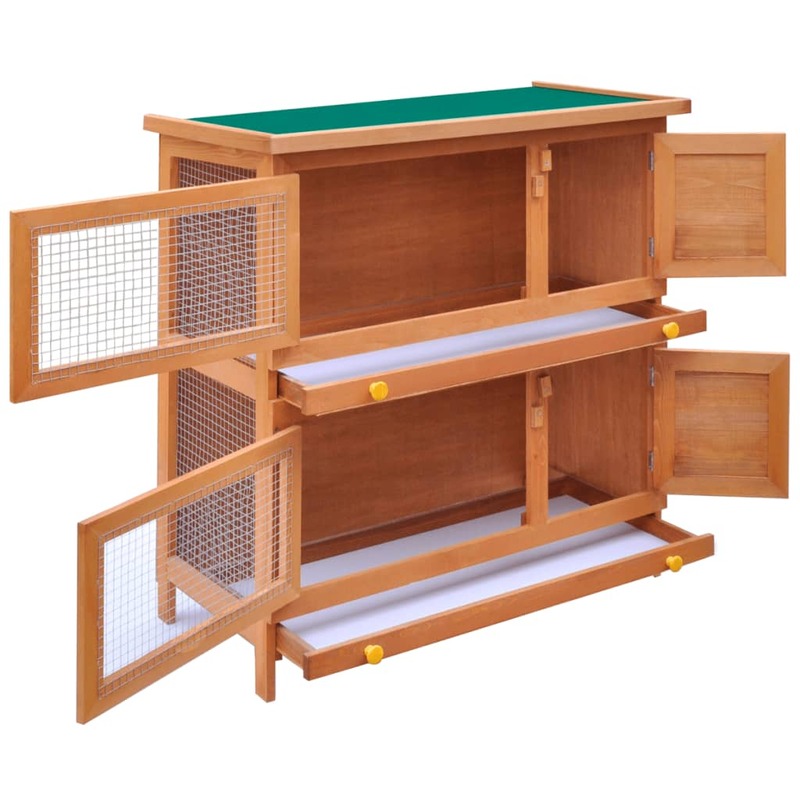 Love that the top opens on the upper section. 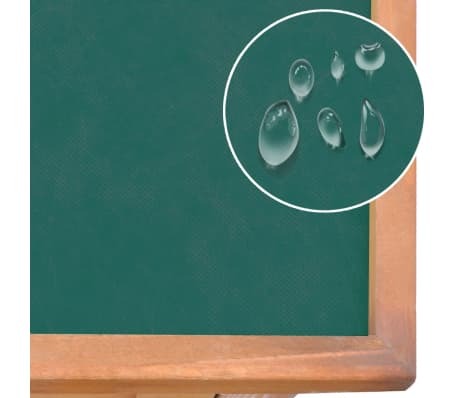 Would definitely buy more if needed!